Our Availability List is broadcast weekly via our Availability Email Newsletter, sent each Thursday. We also welcome you to download our Availability List from our website, however, we do not include pricing in our online version. Our products are grown in many different container sizes. 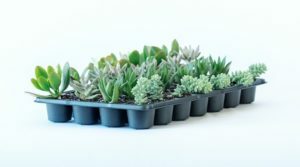 Specific dimensions, volume, quantities of plants packaged in trays, and container sizes available in each plant category can be found on this page. Our goal is to provide our wholesale customers the best plants with the highest quality. We can customize the right mix of inventory to help your business thrive. Subscribe to our Availability Email Newsletter to have our current product availability delivered to your inbox each week! Seasoned Horticulture experts at your service! 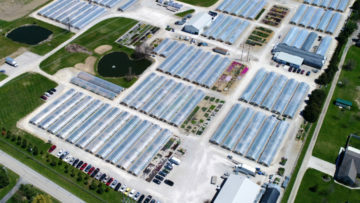 We produce over one million finished plants annually in facilities that include over 90 greenhouses on nearly 200k square feet. Fred earned a B. S. in Agriculture from The Ohio State University, where he majored in Crop Science. He also holds an Associate’s Degree in Floriculture from Alfred State. 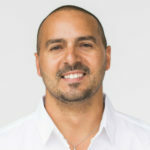 Fred joined Millcreek in March of 2005 upon completion of his six month internship with us. He began as an Assistant Grower in our IMPACT Department and later as the Head Grower. After a few years as the Head Grower in the IMPACT Perennial Department, Fred was promoted to Growing Operations Supervisor.In the Spring of 2013 he was promoted to Growing Operations Manager and his responsibilities now encompass all aspects of Growing at Millcreek including projecting sales and growing figures, staffing and labor management in the growing areas, and budgeting. Fred is an Ohio Certified Nursery Technician as well as an Ohio Certified Pesticide Applicator. When the work day ends Fred enjoys running, working on his hobby farm, and spending time with his beautiful wife and 4 children. Millcreek Gardens was established in 1978, and we grow high quality container-grown Perennials, Herbs, Annuals, Ornamental Grasses, Shrubs, Ferns, Vines, and Succulents. Our nursery is family owned, and we have been growing finished retail-ready plants on a wholesale basis for 41 years. We provide our products to Independent Retail Garden Centers, Landscape Professionals, Farm Markets, Municipalities, and the like in Ohio and the surrounding states. We look forward to growing for you.